Sponsor a table of eight for a $200.00 donation. Be creative! Prizes available for the best themed table! 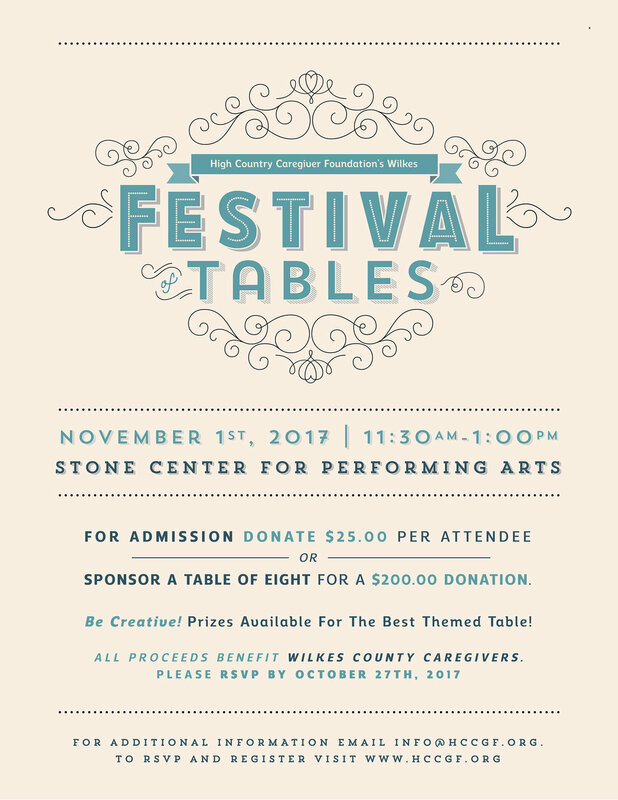 All proceeds benefit Wilkes County Caregivers.